While New York has all this beautiful euphoria and wonderful eating, do you ever find that sometimes when you're in a big city, you're just that much happier to see a friendly face and eat comfort food? Do you ever find that when you look back, it's not the fancy meals that you remember the best but the unusual experiences and the warmth of the time that you spent with people? I get that all the time! In New York, I'm blessed to have some really wonderful friends and many of whom share the same passion for good eating and good cooking as I. One such friend, M, hosted a lunch while I was there and it was a great opportunity to spend some time cooking and baking with her. To be honest, there are only so many days that you can spend eating out and far better sometimes, are the days you spend preparing to eat in. Let me tell you more about M and why I just love her. She hails from the same part of the world as I but from a young age, lived both in the US and Asia. She's graduated from Stanford and Harvard, has done the whole route of being an engineer, an investment banker, a private equity scout, a photographer and culinary school. She's full of dreams and whimsy and this delicate Asian mix between quiet and 'garang', determined and nonsensical and she lives to cook and eat. Give me a girl who reads and eats, anytime. She also maintains a wonderful blog, filled with her artistic adventures in photography and food, here and here and for lunch, she had decided on a Malaysian menu and beef rendang. This is a picture of our sumptious lunch, with Thai lemongrass-grilled roast chicken, fried eggs, beef rendang, pan-grilled laksa fish, ikan bilis and kueh lapis with fresh berries for dessert. 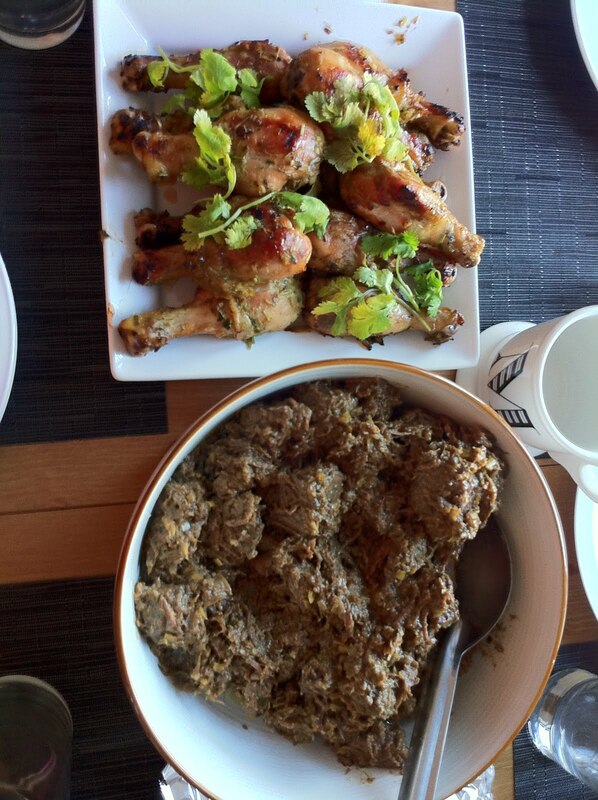 This is M's beef rendang recipe, with notes from her family's kitchen. It produces a classic beef texture that is soft, striated, succulent, the flavour is warm, aromatic and unlike a lot of local, sharper versions of beef rendang, it is very nuanced and smooth. It just melts in your mouth and it was the perfect end to a very good trip. A classic Malay dish of beef braised in coconut milk and Asian aromatics often served as an accompaniment to Nasi Lemak (coconut rice). 1. Mince the shallots, garlic, lemongrass, galangal and ginger in a food processor or mortar and pestle. 2. Heat a few tablespoons of vegetable oil in a large heavy pot over medium heat. Saute the above mixture until fragrant and the oil begins to separate – do not allow to burn. 3. Add the stewing beef and lightly brown with the shallot mixture. 4. Add coconut milk and slowly raise the heat to a boil and immediately turn it down so that it sustains a very light simmer. Simmer until most of the liquid from the coconut milk has evaporated, stirring occasionally. Season with salt and pepper towards the end of this stage. 5. While waiting for the stew to simmer its liquids away, lightly toast the desiccated coconut in a toaster oven until a deep tan color – the color transitions quickly into a burnt brown so keep a careful eye on the toaster. Remove the coconut from the heat and allow to cool to room temperature. 6. Pulverize the toasted coconut in a mortar and pestle or food processor. If using the former, the coconut is ready when a shimmer of oil forms on the coconut. If using a food processor, pulverize as finely as possible. 7. Add the coconut to the braising beef and heat through, approximately 5 minutes, before serving. 8. As with most stews and braises, the rendang tastes better if prepared 24 hours in advance although this is entirely optional. 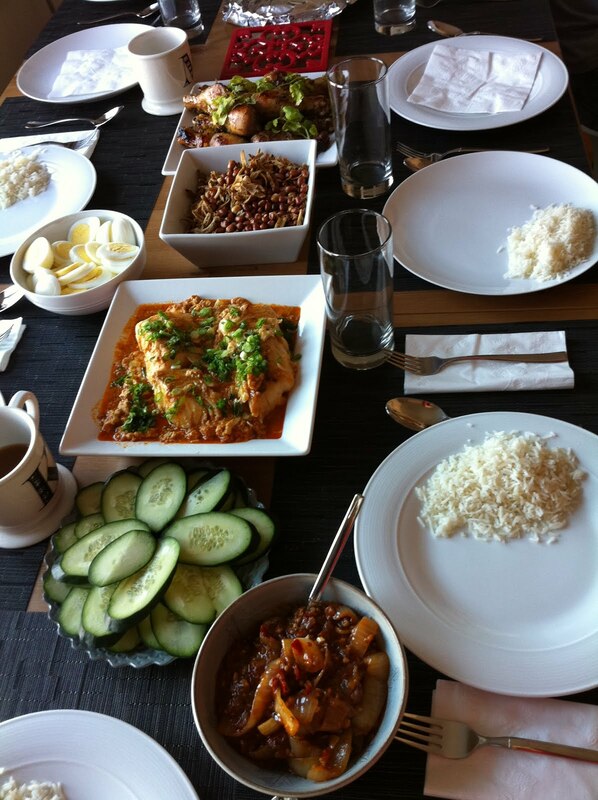 Note: As with most Malaysian dishes, the quantities specified are often approximations. I’ve observed my mother make this dish a number of times and adapted those observations to approximations denoted in the above recipe. I was told this by a gourmand of impeccable taste, and so of course I told S to make a booking on OpenTable. The food is, indeed, “a bit pricey”: Eleven Madison Park only serves a prix fixe menu for lunch and dinner, and at $195 per person, you’d better have a really good reason for coming. Fortunately for me, I had two: I was in New York City on a holiday, and I had survived a hurricane. Due to its legendary reputation, I had expected Eleven Madison Park to be something of a temple; stiff and snooty with food that was to be revered rather than merely enjoyed, and with staff who provided lectures rather than service. Happily, although the setting probably ought not to be described as “informal”, S and I were made extremely comfortable, and waitstaff were frequently at hand with superbly discreet timing and manners. In fact, the meal begins with a polite enquiry as to each diner’s likes and dislikes, to ensure that nothing but an ideal dining experience. Despite the hefty price tag, the restaurant is almost always completely booked out and we barely managed to snag a reservation. 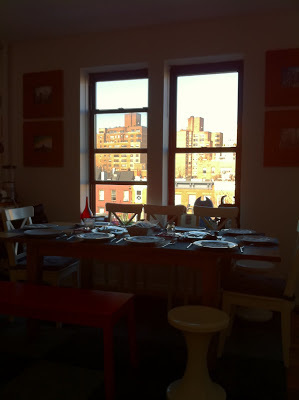 Having said that, however, we did notice a few empty tables, although the cancellation of the New York marathon might have meant that some post-run bingers had to cancel their reservations. The menu, which contains 16 courses over 3 hours, makes the entire meal something of a marathon as well, and that’s not even including the visit to the kitchen. “Your meal begins with a savoury black and white cookie,” our waiter beamed, “Eleven Madison’s interpretation of a quintessential New York snack”. To be honest I’d never eaten a black and white cookie before, much less one that was made up of cheddar and apple fondant so tart and intense that my taste buds were sent racing. The black and white amuse-bouche immediately set the tone for the rest of the meal. Not only was it a creative take on a classic, if modest, foodstuff, in its technical execution it was virtually perfect, and immediately enlivened and inspired the palate for what was to follow. It is true that some of Eleven Madison Park’s offerings come a little close to being gimmicky, but the restaurant never loses sight of delivering superlatively fresh and tasty food, such as this simple raw oyster glazed with wood sorrel. While I am not the biggest fan of fresh oysters (I had forgotten to mention this at the start of the meal, but it’s a little hard to cover all bases), in one gulp I took an instant, extraordinary hit of pure coastal brine and oceanic minerality, and I could virtually imagine myself in some shallow rock pool fishing for more of these magical bivalves. Thoughtfully, another palate cleanser arrives, ensuring that the salinity of the oyster tantalises, but does not overwhelm. The cranberry snow with beets, goat cheese and caraway is a delightful distillation of summer and winter in an explosive melange of tastes, colours and textures. The sweetness of the beets is offset by the slight sourness of the cranberries, while the frozen ice crystals intensify the flavours and cool the creamy goat’s cheese, which in turn rounds out the whole dish. I’ve often wondered who first decided that a sea urchin would make for good eating, and what could possibly have made him think so. As Eleven Madison Park’s sea urchin custard with baby squid, bay scallop and apple demonstrates, though, sea urchin, when prepared correctly, is exquisite, especially when paired with adorably petite baby seafood. Almost, but I stress, only almost, too cute to eat. “Please,” said the waiter impishly, “don’t lift the bell jar”, and with that he walked off. “What do you think it is?” S asked, peering intently into the swirling opacity. As it turned out, our next course was another updated New York classic: smoked fish. The dish was “sturgeon smoked with everything”, although strictly speaking only the sturgeon was smoked. I must say, however, despite the Plath-worthy bell jar, the caviar and the homemade pickles, I was not particularly enamoured of this dish. Perhaps because it had come after so many other wonderful starters, and perhaps because smoked fish is not something that lends itself to deconstruction, I considered this particular course to be more form than substance. You know it’s going to be a long meal when the bread only arrives after an hour and a half, although I suppose the kitchen needed the time to prepare an extra helping of butter made with the fat rendered from the duck that we were going to be having later in the meal. Next, we were offered salsify roasted with bulgur wheat and mangalista ham, which I also found to be somewhat unremarkable. That ennui quickly evaporated, however, when a meat grinder was clamped to the side of our table, and we were given a wooden tray filled with a remarkable assortment of ingredients that included pommery mustard, pumpkin seeds and dried fish. Instead of meat, a raw carrot was passed through the grinder (although sinfully only about half of it was used), and we were encouraged to “play with your food”, by creating our own tartare using the ingredients provided. Gimmicky as it may seem, it actually was very enjoyable: the carrot mince is bursting with colour and flavour, while the “a la carte” approach allows the diner not merely maximum control over the taste of the dish, but also the chance to reconnect with that inner toddler in mixing and mashing to their heart’s content. The seafood course took the form of poached lobster served with leek, black onion and shellfish bisque. The lobster met was, perhaps unsurprisingly, almost entirely from the claw, beautifully and succulently poached, while the shellfish bisque, hypnotically obsidian, was arrestingly intense. A superb and decadent dish. Parsnips roasted with sesame, parsley and Dijon didn’t really do it for me. I have no distinct memory of this dish, which I think is partly to do with the fact that vegetables are best done simply to allow their freshness to be showcased to maximum effect. ... Only to return with the first of two courses that our fowl generously yielded up: a duck broth. Now, I have extremely tasty black chicken soup on a fairly regular basis at home, so I am fairly picky about broths, but it’s fair to say that this is one of the best consommés I have ever tasted in my life. It was pure duck essence, distilled down to a deceptively unassuming teacup, but bursting with a robust intensity that put Chinese restaurants everywhere to shame. I shudder to think of how many duck bones were needed for this broth, and how long it took to boil, simmer and extract every ounce of flavour from them. After that show-stealer, the slice of roast duck, served with a fig-like sweet plum and dehydrated vegetables, was decidedly outclassed. Don’t get me wrong; there was nothing wrong with it at all, but it was like getting Freddy Mercury to open for Steven Tyler. I did, however, wonder: what did the restaurant do with all the leftover duck? As the meal winds down, a little showmanship is in order, and pre-dessert begins with a quaint picnic basket being placed on our table, with an invitation to us to dig in and help ourselves to its contents. As whimsical as this course was, to be honest I was a little underwhelmed. The small sprig of grapes could have come from any grocery store, and the cheese was enjoyable but ordinary. The homemade plum mustard and pretzel were a nice touch, but not enough to really make an impact. In addition, for some reason, the table next to us (and evidently other diners who have blogged about having this dish) were given a bottle of custom brewed beer, but we were instead given some sparkling cider from a bottle that had already been opened. The showmanship continues with Eleven Madison’s tribute to egg cream, the classic soda said to be created in Brooklyn. This version, in addition to vanilla syrup and milk, featured a drop or two of sunflower oil, which I thought was a really interesting touch. Having never had a classic egg cream, I have no idea how this version compares to an authentic egg cream, and I was not particularly fond of the combination of milk and soda water, which seems quite foreign to me. Still, I liked the idea behind it, and I think it’s important that modern restaurants keep classic ideas and tastes alive, or reintroduce them to a whole new generation of diners. Dessert continued with a pear round which had been poached with honey, served with pear ice cream and gel, as well as powdered acorn dust. While pear isn’t exactly my favourite fruit, paired with the mild honey it made for a winning combination. By the time we reached our last course of sheep’s milk cheesecake, with grape ice cream and red wine snow I was close to bursting. The cheesecake had been deconstructed, with a light pudding-like consistency that had been topped with fine textured nuts and crumbs, complemented by the lovely ice cream. The final razzle-dazzle for the afternoon was a magic show put on for us by one of the waiters. His patter was good and his execution flawless as he cut, shuffled and forced the deck of cards which magically predicted what flavour chocolates we would pick (olive oil, espresso, rosemary etc). Cheesy? Sure. But when you’ve just had a meal as beautiful, languid and sublime as the one we did, who cares that there were a few gimmicky moments – it’s all part of a great dining experience. And just when we thought we’d reached the end of the meal, enormous chocolate covered pretzels which were sprinkled with some sea salt were brought out. Salty, chocolatey and chewy, these pretzels were awesome, and it was a shame that I was already so full. Clearly the restaurant is firm believer in perfect symmetry, as our meal ended with another helping of black and white cookies, although these were sweet rather than savoury. After three and a half hours, our epic meal had finally come to an end. As a restaurant, Eleven Madison Park defies proper categorisation. It’s not French, not Italian, definitely not Asian, nor can it really even be called fusion or molecular. As an experience, however, it’s almost quintessentially American: creative and at times over the top, but served up with such passion, panache and well-meaning friendliness that you can’t help but be bowled over by it all. Our annual round up of fun new kitchen gadgets and cookbooks. No, we really don't have space for anything more and who buys cookbooks in this day and age, anyway? But if I did, these are the books and toys I'd be buying for myself, or foodie friends this year. Some of them are really, really neat! Oh, I really want one of these! 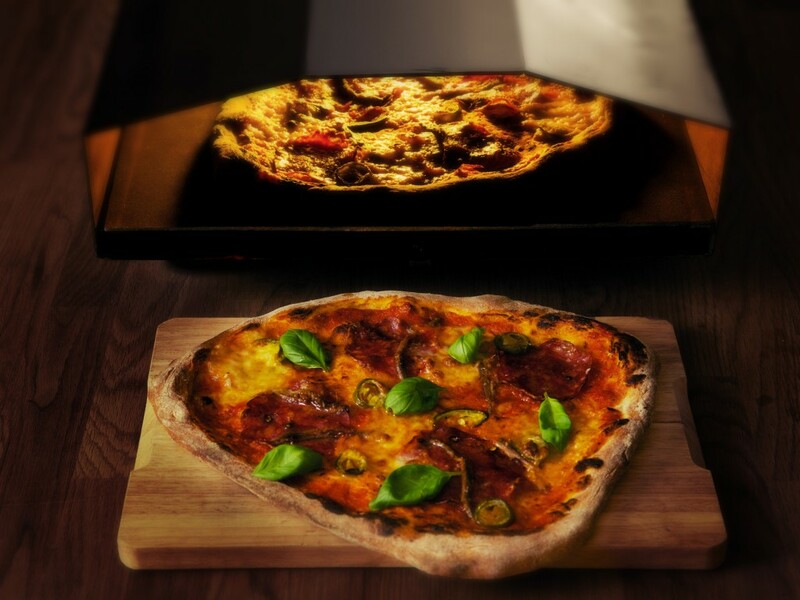 A portable, light, wood fired pizza oven, check it out at their website here or watch their Kickstarter video here . The inventor has laid claim to the world's first wood-fired oven that is easy to use, small, fast and affordable. Only downsides are, at 5-7kg, it's not that light and at 180 pounds it is still not that affordable. You still have to make your own pizza dough (and we have a smoker so why do I need a second natural oven, also, the founder is somewhat European-ly facetious, he calls his own dough recipe, which he is selling along with the machine, "canonical") and I'm a little suspicious of the mess that it makes, for I've never met a neat wood oven. I don't understand what the process is and from the video, the oven has worrying little fire sparks jumping out of it, but I guess the whole point of early-stage investing is you take the a big execution risk and if you're a pizza lover, it might be worth it! 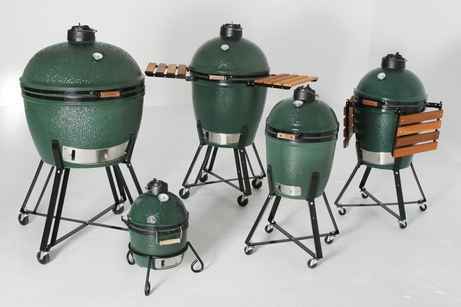 This smoker has a strong franchise, which means a history and a rather fanatical following. We lucked out when a friend shipped a container of furniture from the US, as we were able to take advantage of a small space within it for this bad boy. I think there is one other BEG in Singapore (which was brought here by a US Marine family and has its own blog), it's basically a small-scale home-use smoker, similar to what chophouse restaurants would have. We bought the Large and the store who sold it to us (typical brilliant US customer service, answered, paid for and personally shipped all over the phone) said that most people come back to trade in their Large eggs for the Extra Large- I can see why. 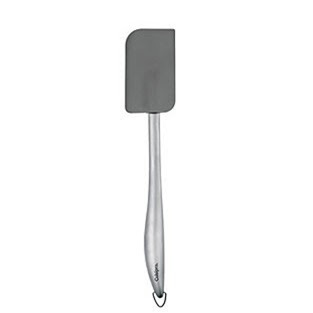 It is a lovely size, a fairly unobtrusive piece of kit on a roll-y base, easy to use and makes beautiful smoked thick steaks, ribs, salmon and pork butts. If you are a fan of hickory, mesquite or orange-wood smoked meat, this is how you would achieve that effect. Since we've acquired this, we've been scoping out comparative butchers, beef cuts and meat prices, it's become hard in particular, to order steaks at restaurant-prices and when they aren't smoked! If you already have a smoker or a BBQ kit of some sort, I would recommend two more items, a BBQ charcoal chimney starter and a tub of dry-rub. The charcoal chimney starter is a revelation and gets rid of the days when you had to stand around, fan the fire, get all smokey and have guests wait hours for anything to eat. 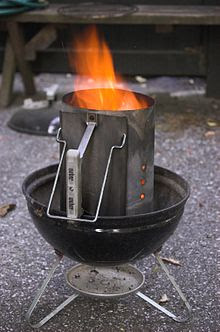 Although you will still get smoked up, this device (a steel cylinder about 8 inches in diameter and 15 inches tall) jumpstarts your BBQ by ensuring a quick burn and takes the insecurity out of the firing-up process. I notice it's not commonly used in Singapore but it should be- available at BQ Mart and most other specialty BBQ stores in Singapore. A dry-rub helps to dry out and flavour the meat, much like a professional marinade and the two best that we've tried were a Texan dry rub, as well as an Icelandic rub for meats. It's a fun little souvenir from when you travel. The key things that totally annoy me, when I use someone else's kitchen, is if their knives are not sharp (that's just dangerous and it's so lazy) and when they use these blocky plastic spatulas that don't scrape up anything! You waste so much time putting batter round and round in a bowl and it's impossible to get a clean finish. These are durable, pliable and you really can never have enough of them. I have one and would love a couple more, I suspect most bakers would not be adverse to them either, especially in different sizes. A thoughtful, easy gift for chef friends. This is my absolute pet peeve- you can creative your way out of not having a colander, for example, but you can't really function if your knives aren't strong and sharp. I absolutely believe that there is a strong correlation between an individual's kitchen abilities, indeed, their discernment and taste in food and the state of their kitchen knives. I also tend to think that people who take care of their knives and treat them tenderly (you all know what that means- dry them immediately after washing, sharpen them properly and store them with care and when absolutely dry), will apply the same attention to detail with other things they do or with the way they treat people. Besides, why wouldn't you own just one decent knife when there are so many beautiful ones to choose from (and when they give away Henckels knives with supermarket points)? Everyone has their favourites, from Gordon Ramsey's self-branded collection, to Lakeland knives, Shoji knives, Analon knives (championed by Raymond Blanc), Senkou knives (Heston Blumenthal) and there are all different reports of how long their blades stay sharp for, their durability and so on and so forth. My own prejudice is that I'm not a fan of ceramic knives (I like the feel of steel, even if it does oxidise your apples) and I like the Global Knives best. I love their weight, balance and dimpled handles. A proper chef's knife or Santouku knife will likely set you back $110-170 unless you buy a set; we use a Henckel's knife block at home so that there are enough knives for more than one person working in the kitchen. I also like very sharp scissors, those that can cut anything from tomato stalks, to ribbon or chicken bones. I try to have at least two in my kitchen, so people don't have to wait on each other. TOTT has a strong, sharp kitchen shears for $10 or you can get them at hardware stores, for that price and given how often they are used, they are good value. I am stuck in the Dark Ages, we still use a one-sided Ikea scoop for ice creams. 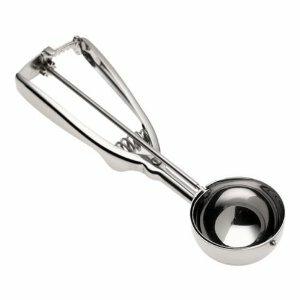 There are apparently websites that are dedicated to reviews of ice-cream scoops, the favourite is apparently the 2 ounce, blue-handled Zeroll Universal EZ Disher, which the best value went to the 4-Tablespoon size Norpro Stainless Mechanical Scoop. In truth, I'm not an ice cream fan, which explains why I've never wanted a larger ice cream scoop but these are also really handy for scooping in even amounts of cupcake batter, which makes it doubly worthwhile! Who can resist a cookbook and bakery by a Harvard alumnus with a degree in Economics? I can't! I am in love, in love with her recipes and most of them were recipes I stumbled into, and only belatedly realized where from- her brilliant and easy-to-follow, picture-filled book. 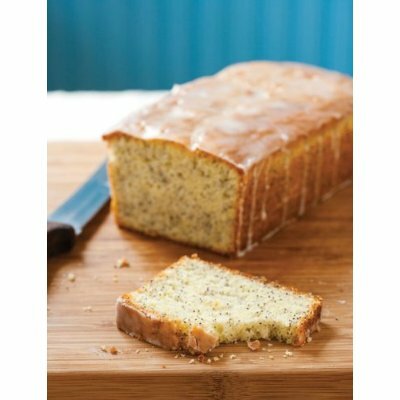 Her lemon cake is superb and sophisticated, her banana bread is the best one I have tasted (and I've only criss-crossed Australia and the US tasting every banana bread I come upon). Her recipes are precise and the results speak for themselves. 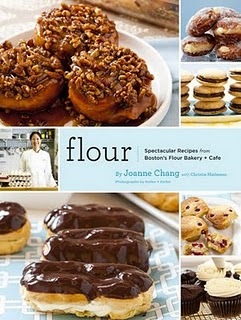 I don't need another baking book but if I had the appetite for one, this would be it. 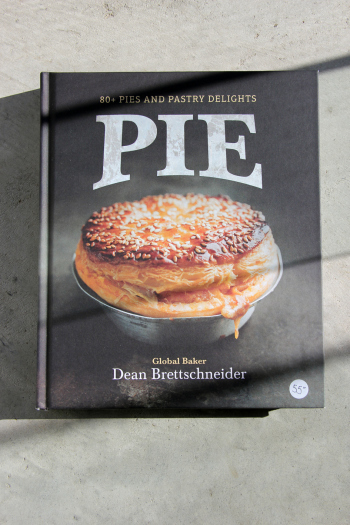 This cookbook is so new, it is still on forward release on Amazon but you can get a copy of it here in Singapore at this pastry store in Greenwood Avenue. I've been on a pie kick of late and one of the things that I've become much more aware of, is the need for a melt-in-the-mouth dough. This book is quite unique in that it walks you through different types of doughs and fillings, in an absolutely delicious, savoury way. I'm putting this in again, only because I still want one. I featured it last year, in my round-up of kitchen toys. For those who don't yet have a digital weighing scale, get one. 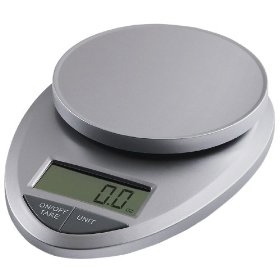 I find my digital kitchen scale one of the most important pieces of equipment, they give you more precision and accuracy in measuring and baking results and they help save you time too, by allowing you to tare (reset to 0) with your existing containers, bowls and added ingredients. I wish all recipes would be fully converted into a system of weighed ingredients, rather than measured in metric or cups. The EatSmart Precision Pro Digital Kitchen Scale is a reasonable $25USD, compared to the $70SGD that I spent on my simple Tanita scale. It is matt and stainless steel, the buttons are tab buttons (as opposed to rubber buttons that you depressed, on the previous scale) and the number display is clear and large. Best of all, it takes regular, not watch-sized batteries. 2838 unanimous 5-star reviews on Amazon have become 4389 reviews and still all give it a full 5 stars. I already have this and it is a lovely piece of equipment. 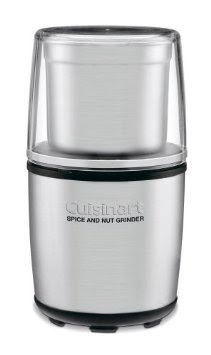 The blade is exclusively designed to grind spices and nuts and the simple press-down lid starts the grinding process with one touch, sealing in all the finely ground spices. Perfect for grinding down almonds for macarons or pistachios for baklava, each cupful is about 100 grams, which is a great size and makes for much quicker and neater work. I was introduced to this grinder by some Peranakan cooks who swear by it and I have to admit, I was pretty sceptical at first. 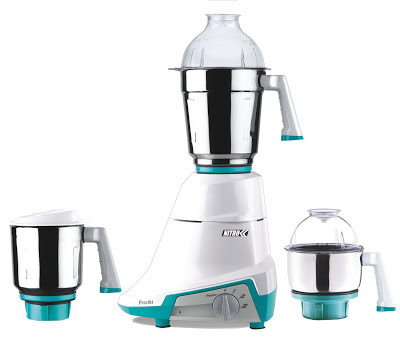 The Preethi series is made in India and it doesn't look that swish, in fact, with its white plastic exterior and pastel colours, it looks a bit like a child's kitchen toy. However, it is actually well known for its durability and trouble free performance and is very well-suited to cuisines that have a lot of nut and 'rempah' grinding, like Indian, Malay or Peranakan cooking. The resulting pastes are smooth and the machine does not overheat. I also like that the various containers and blending jars are quite large, instead of the usual small, medium, large size- this lens itself well to making several different curries or rempahs at once. At $85 at Mustafa, it is one of the few things that costs less in Singapore than it does on Amazon and it's cheap for a heavy duty mixer. This is my usual bonus last item and it's because we live in the tropics. As any cook or baker will tell you, if you actually use your kitchen and live near greenery, you're bound to eventually, run into a pest problem. If you're lucky, this is just ants and not lizards or cockroaches. There are several types of electrically powered devices designed to repel or eliminate pests, usually rodents or insects. The brand I've seen in Singapore is Pest Stop or Pest Repeller Ultimate AT (available from hardware stores) and Mortein's Liquid Vaporiser (this is for mosquitoes). I caveat that I haven't actually used one and have limited reports of their efficacy but we can dream! If you have other items to recommend, I'd dearly love to hear about them. Happy New Year to all our readers and as always, good eating and good health! Our latest bake was a beautiful, classic cake, I had been having a craving for something springtime and pale yellow. We made several layers of pure lemon cake and then some moist, sour cream lemon pound cake, studded with blueberries. You can use any one of the recipes available online, from Sweetapolita or Martha Stewart, to create the cake. Then you stack each half alternately onto each other, beginning and ending with the flat bottom of each cake and sandwiching each layer with lemon curd that I'd made from a bag of seasonal Meyer lemons I'd picked up. The cake was crumb-coated with plain butter cream, set for an hour and then coated with pale yellow butter cream. As it was though, the palette of ivory, white and pale yellow made for a very understatedly gorgeous, if a little feminine, cake. The cake was rather thick, it must have stood at a good three and a half to four inches tall, so each slice should be cut fairly thin. It was dense and lemony, sandwiched in lemon curd and a delicious balance between sour and sweet. It was particularly good with an afternoon black coffee. Although I was ambivalent between leaving the top of the cake plain and topping it with lemon curd, for consistency, I opted to pipe a shell border and spread a thin layer of curd along the top. I also think the cake would look very sophisticated with a tan-coloured salted caramel cream, a circumference of white icing and a topper of white flowers. I know, it's awful, we ate so much in New York and I keep interrupting Colin's progress with the New York Eats series but I could not wait to show you a spectacular surprise! We were very honored to be asked to make a 1st birthday cake for P's daughter, A. this past weekend. P was an ideal client, she gave us lots of notice (essential for home bakers) and really good direction. 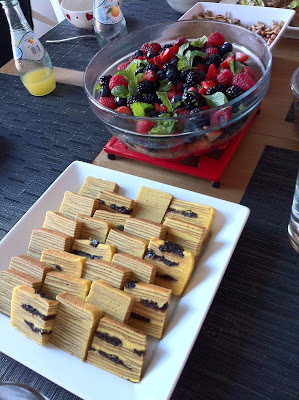 In fact, there was only one kind of cake that she had in mind, specifically and we were happy to oblige (and have the chance to document the baking process). The cake itself is self-explanatory. Even the crumbs are colourful. When I was little, I would have thought this cake was just absolutely perfect. I remember that I had this instant attraction to rainbow colour, markers, post-its, files, what have you. Anything multi-coloured, was amazing to me. What I should say is that yes, if you're wondering, it does take a lot of colouring. We used food gels, which are I think, better than liquid food colouring and have less of an after-taste. And yes, the cake is still light, fluffy and very tasty. How? Well, that's our little secret. We use only quality ingredients and unlike most bakers, we don't use shortening (yup, that plastic stuff) or bottled flavouring in our cakes or frosting. The cake and buttercream are all made using pure sugar, french butters, vanilla pods, lemon or passionfruit cream. For this cake, we make it in a butter cake, as opposed to a sponge cake, so the crumb and flavour is really good! The cakes were lovingly baked by C, in separate tins. This cake is deceptively simple but it's actually very time-consuming, as you have to do everything, from papering the tins to cooking each layer separately, to sandwiching the buttercream frosting, 7 times. The layers were then cooled, wrapped and re-stacked, this time with butter cream. For those who make cakes often, crumb-coating this cake, was a $&#*^ affair. Just slightly. It was really fun to watch those colourful crumbs come through the cream but if you even contemplate making this without the crumb coat... freeze that thought right there. Even after it stood in a proud, straight cylindrical cake, I was still, obsessively, scraping away at the buttercream, which, thanks to the cold crumb coat and my efforts to lighten the cream with the mixture of whipped fresh cream, was starting to pull away from my under-coat layer. Blast, blast, blast, I thought darkly to myself, several times through this process. We made A. a 6-inch stacked cake and 36 orange sugee (semolina) cupcakes, frosted with a light passionfruit-mango Swiss meringue buttercream and loads and loads of colourful sprinkles. This is such an immensely happy cake, I cannot even begin to describe the cuteness. The cake was also very tall. This was due, I admit, entirely to my over-reaching nature. Why trim it into a shorter cake when you can keep all the layers? Well, after all the frosting was added, the cake was at least a good 8 inches high, as opposed to the usual cake height of 3.5 inches. For reference, that's 3/4 of a long ruler. Or the diameter of a medium pizza. It's high. And heavy. Luckily, it stood tall and proud all the way home and all the way through the party. And then finally, the big reveal. I love it! The layers were straight, what a relief. The kids loved it (there was an audible cheer, although it could have just been general dessert-sugar-driven happiness). The cake was surprisingly easy to cut through, but it was slightly hard to manage, given my over-zealousness with the height and we wound up slicing each piece in two. There were lots of compliments for the cake texture and the moist orange sugee cupcakes. I have to say that is one of the biggest satisfactions- to combine loveliness with tastiness and to make the parents and the little ones happy on their big day but to do so with product that is fresh, wholesome and good in every bite. It's a real blessing to be able to spend the day in the delightful company of whipped cream, sweet butter and my dear friend C, without whom this cake and much other deliciousness definitely wouldn't be possible! * If you are interested in purchasing a rainbow cake or have a request for other celebration cakes, do drop us a line with a three-week lead time. We bake from home, which means that capacity is limited and we do need more notice, as we will only bake fresh, as close to the time of delivery as possible. Our charges are $120-$150 for a 6 inch or 8 inch rainbow cake. A cake as tall as the one featured in this post, double the usual height, is $200 for a 6 inch. The cupcakes are $3 each.